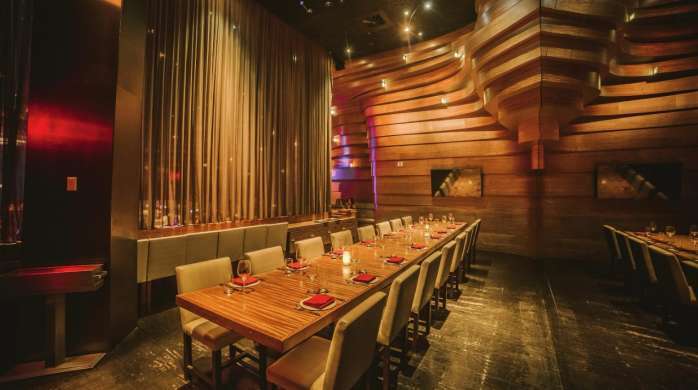 American contemporary dining in a sleek hardwood setting is what sets STACK apart from the rest. 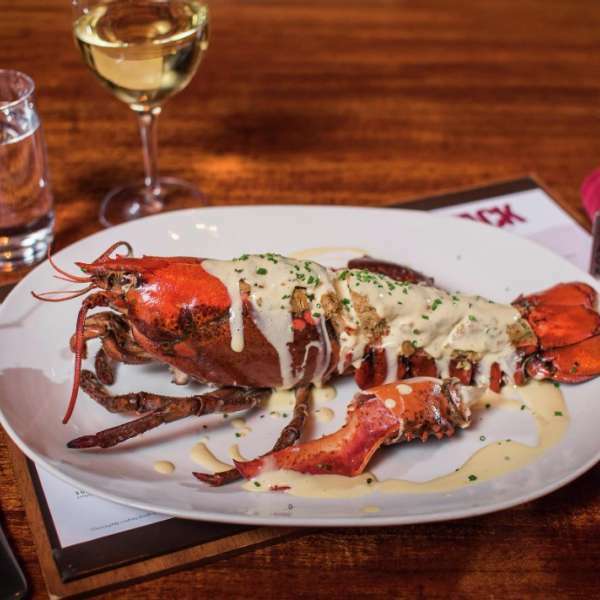 Perfect for a quick bite before a night out on the town or a full meal to be shared amongst family and friends. You will find only top-quality fish, meat and poultry with our top-notch service. 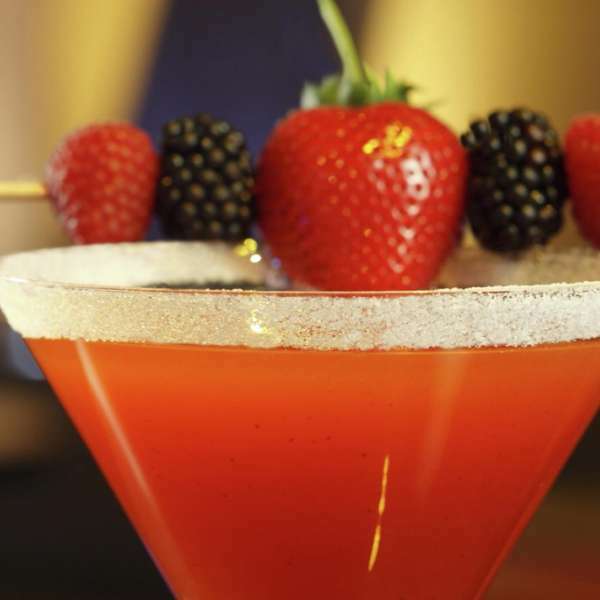 Enjoy specialty cocktails ranging from the Cucumber Martini to the Liquid Passion served up by STACK's eye catching staff who invite you to sit back, relax, and enjoy the view. 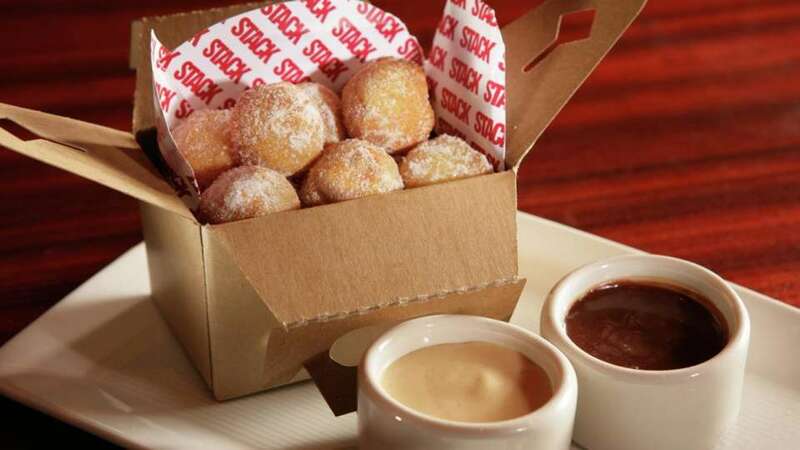 Through its fun and innovative interpretations on classic American cuisine, STACK promises a one-of-a-kind dining experience you'll never forget. *Thoroughly cooking foods of animal origin such as beef, eggs, fish, lamb, milk, poultry, or shellfish reduces the risk of foodborne illness. Individuals with certain health conditions may be at higher risk if these foods are consumed raw or undercooked. *If you would like the Chef to make something else, let us know! Show tickets not included. 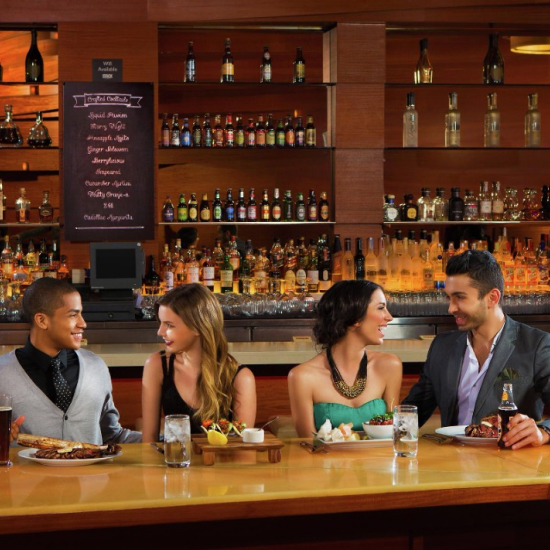 Save 15% - 20% on show tickets with dinner purchase. Thoroughly cooking foods of animal origin such as beef, eggs, fish, lamb, milk, poultry, or shellfish reduces the risk of foodborne illness. Individuals with certain health conditions may be at higher risk if these foods are consumed raw or undercooked. 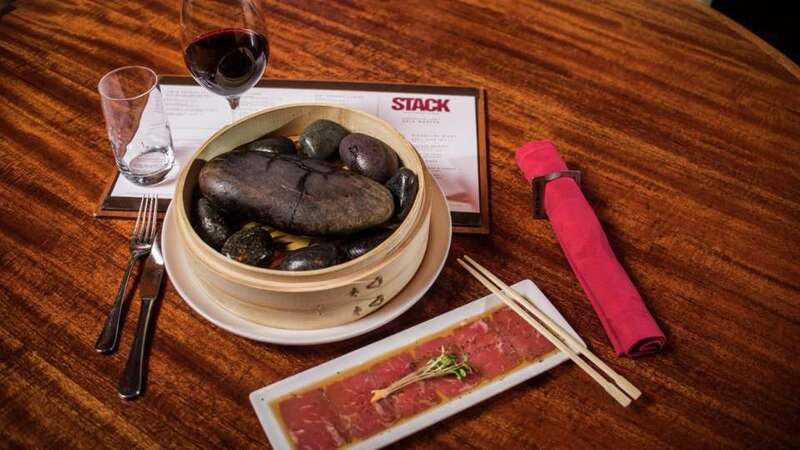 Hot Rocks is a dish where the guest can cook their own fresh sirloin to perfection. 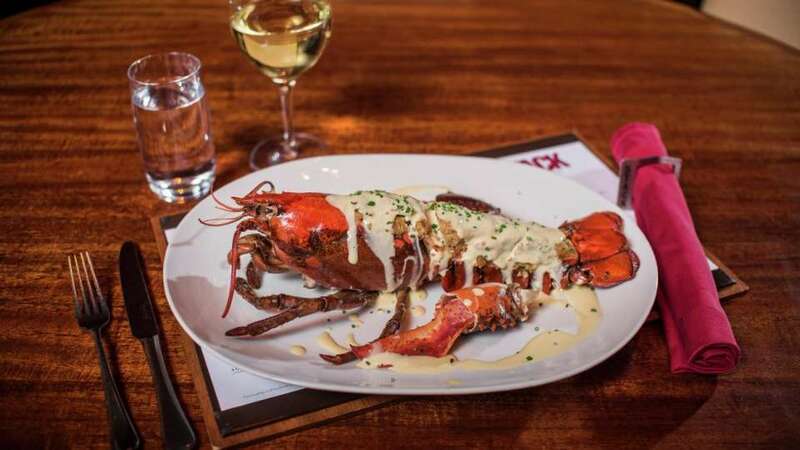 This 2 lb Maine Lobster is filled with Ritz Cracker King Crab stuffing. 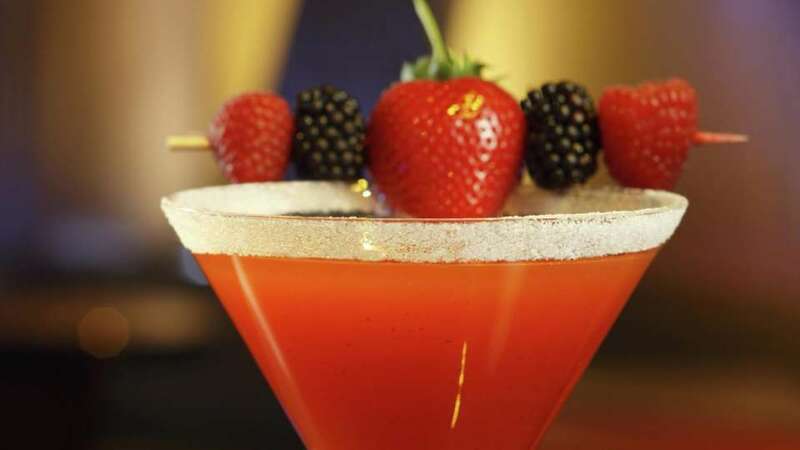 The Berrylicious cocktail, with Belvedere Wild Berry Vodka and fresh fruit. 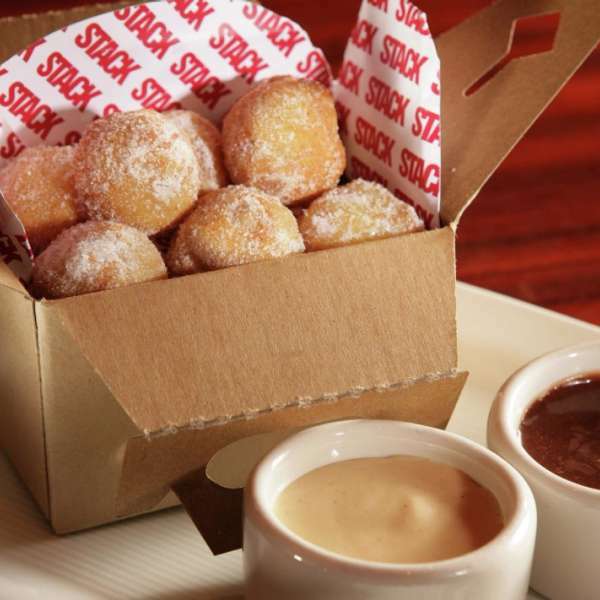 Six blueberry-filled, sugar-coated mini donuts served with a vanilla anglaise. Walk into the Casino and turn right just past Lobby Bar through the Atrium. Turn right past Heritage Steak towards OTORO. Turn slight left and STACK will be on your right. Enter the resort from Las Vegas Boulevard. Walk through two bronze mermaid statues towards the Atrium. Turn right past Heritage Steak towards OTORO. Turn slight left and STACK will be your right. Once you exit out of the elevators, go right and stay straight, following the walkway. Turn Left at OTORO, then stay to the right. 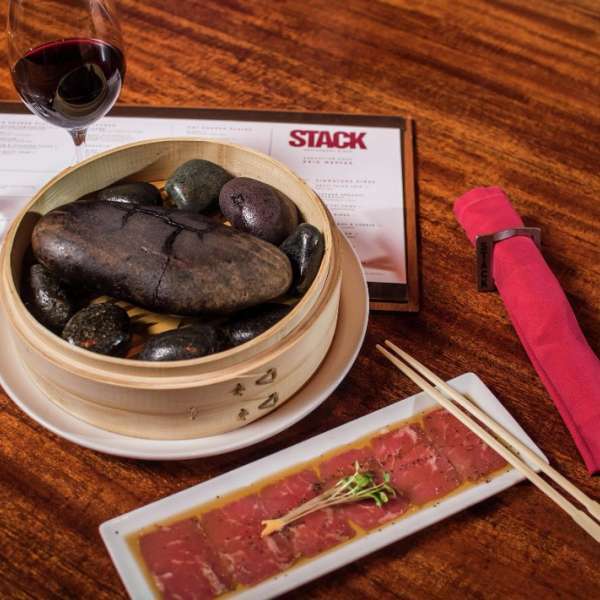 STACK will be on your Right side just passed OTORO. 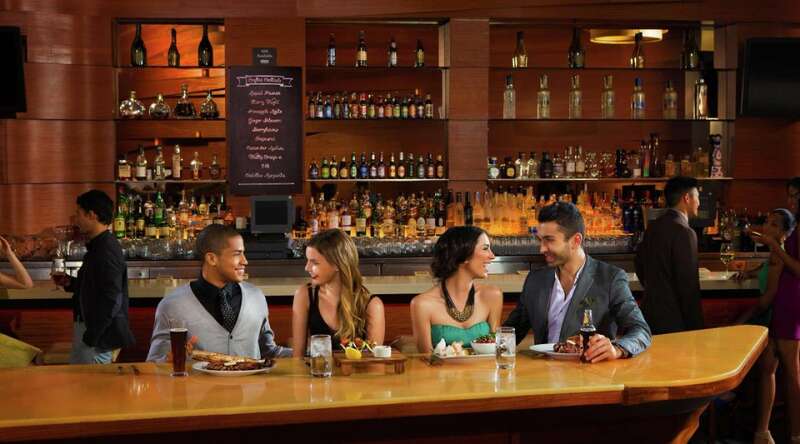 Group Dining Available for parties of 12 – 325.
and is located at the rear of the restaurant. Special offers available when you book a Dinner and Show Experience. See DetailsDinner & Show Experiences!